...and for those who noticed, yes, the camera lacks a serial number. It was assembled using new old stock Leitz repair parts from the 1970's. Top plates wereissued without serial numbers so that you could keep the serial number your camera originally had. Teikoku Kogaku was a small optical company with big ideas. Unheard of by most of the photographic community in the 1950's when they were in business, and mostly unknown by the collecting public today, most of their products are coveted by collectors that do know them. This small company produced the world's first 50/1.1 lens for 35mm cameras in 1953, as well as a revolutionary 35mm camera. They also provided lenses for other manufacturers, such as Miranda, Neoca and Tougo-Do. 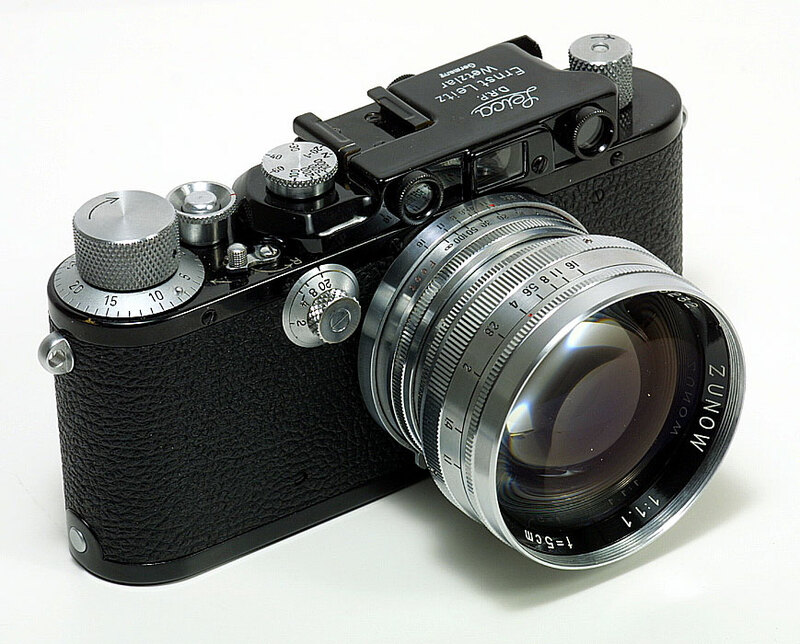 In addition, they made lenses for movie cameras and marketed a 16mm subminiature camera. I don't know too much about the company. The earliest mention of it I can find is 1953. I have read that two of the designers, Kenji Kunimi and Michisaburo Hamano, came from Nippon Kogaku in 1953 and 1955 respectively. Also, Yoshisato Fujioka came from Yashima (which was later to become Yashica, and then Kyocera) in 1955. It appears Zunow was acquired by Yashica sometime around 1959 or 1960. Zunow's talent for innovative products was lost on a company bent on producing great volumes of mediocre cameras.